Composed by Various. Accordion. Christmas. 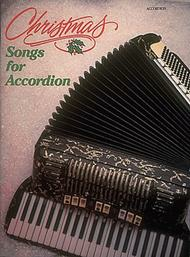 Voice/accordion songbook. With vocal melody, accordion accompaniment (includes fingerings), lyrics and chord names. 48 pages. Published by Hal Leonard (HL.359477). 17 holiday hits, including: The Chipmunk Song * Frosty the Snow Man * A Holly Jolly Christmas * Jingle-Bell Rock * Pretty Paper * Rudolph the Red-Nosed Reindeer. advanced player. I found this book to be a very good choice for song selections and easy to use. I would recommend this book for intermediate to advanced player. Reasonably good arrangements and selection> worth the money, especially since I can't find accordion music in my area! Very nice selection of songs to play. At my level, I found it not too easy and not terribly difficult. It's a book you can pick up in November and play for the Christmas season. 30 of 60 people found this review helpful. There are more than enough Xmas songs to learn in this book and the level of its difficulty is such that any intermediate level player would enjoy referring to.
" works well with a good percusionist on some blocks. Really fun book!